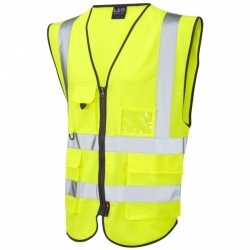 This International Standard Specifies requirements for high visibility clothing, which is capable of visually signalling the user’s presence. 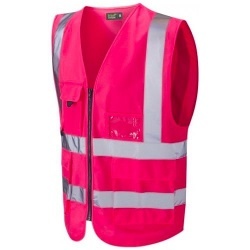 The high visibility clothing is intended to provide conspicuity of the wearer in any light condition when viewed by the operators of vehicles or other mechanised equipment during daylight conditions and under illumination of headlights in the dark. This standard specifies requirements and test methods applicable to materials and garments for protective clothing against the thermal effects of an electric arc event. An electric arc is a continuous electric discharge of high current between conductors generating very bright light and intensive heat. Two international test methods have been developed to provide information on the resistance of clothing to the thermal effects of electric arcs. Each method gives different information. To comply with our standard either or both tests must be carried out. The fabric/garment is exposed to an electric arc confined in a specific box with a specific electrode arrangement for 0.5 seconds. Class 1 is to the current of 4kA arc, Class 2 is to a current 7 kA arc. Test conditions for Class 1 and 2 try to stimulate typical exposure conditions for a short circuit current of 4kA and 7kA respectively. This test method aims to establish the ATPV (Arc Thermal Performance Value) of Ebt (Energy Breakopen Threshold) of a fabric. The APTV is the amount of energy required to cause a 2nd degree burn through the material prior to breakopen (50% probability). The EBT is the amount of energy where the material breaks-open (50% probability). This is normally the upper thermal limit of the fabric where the fibres are damaged and material loses mechanical strength, Both APTV and Ebt are expressed in calories per cm2. 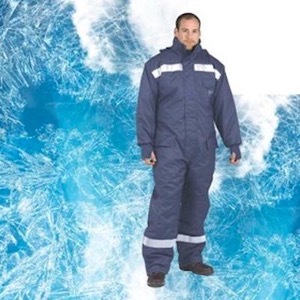 Performance requirements for chemical protective clothing offering limited protective performance against liquid chemicals (Type 6 and Type PB  equipment). This stamdard specifies the minimum requirements for limiter use and re-useable limited performance chemical protective clothing. Limited performance chemical protective clothing is intended for use in cases of a potential exposure to a light spray, liquid aerosols or low pressure, low volume splashes, against which a complete liquid permeation barrier (at a molecular level) is not required. The Standard covers both chemical protective suits (Type 6) and partial body protection (Type PB ). Type 6 suits are tested using a mist or fine spray of water with a dye added to aid the assessment of leakage. The test subject wears an absorbent suit underneath the one to be tested, which absorbs any leaks and is stained by the dye. Success or failure is determined by measuring the total area of any stains on three suits and comparing this with the requirement. A range of other tests is specified, including resistance to abrasion, tear strength, tensile strength, resistance to puncture, resistance to ignition, resistance to penetration by liquid chemicals and seam strength. In the test for liquid chemical repellency and resistance to penetration by liquid chemicals, a bank of four test chemicals is given in the standard although the requirement is that the suit material demonstrates adequate repellency and resistance to penetration against one chemical from the list. Garments are tested under the following performance perameters – Thermal Insulation, Air Permeability and Resistance to Water Penetration. This standard specifies the performance requirements for the limited flame spread properties of materials, material assemblies and protective clothing in order to reduce the possibility of the clothing burning and thereby itself constituting a hazard. Additional requirements for clothing are also specified. 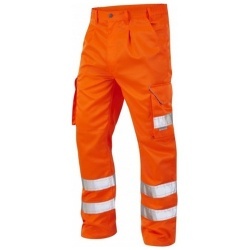 Protective clothing complying with this standard is intended to protect workers against occasional and brief contact with small igniting flames in circumstances where there is no significant flame hazard and without the presence of another type of heat. 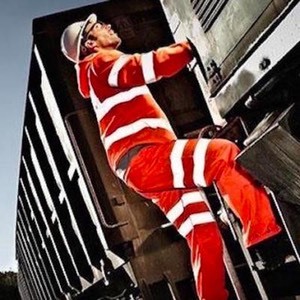 Railway Group Standard sets out the minimum specification for high visibility warning clothing in Rail Industry. Garments marked according to EN13758-2 provides UVA + UVB protection from the sun. 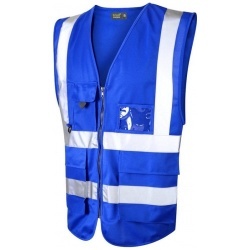 Sun exposure causes skin damage, the dangerous exposure is reduced by wearing this garment. The garment protects against UV radiation, but note that it is not a guarantee for protection in all conditions. Note that only covered areas are protected and the protection offered by this item may be reduced with use or if stretched or wet. The garment should be cared for according to instructions inside the garment. Kneepads certified according to EN 14404 protects the wearer at work in the kneeling position. 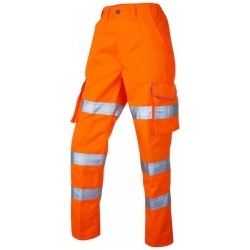 The Performance requirements set out in this international standard are applicable to garment, which could be worn for a wide range of end uses, where the is a need for clothing with limited flame spread properties and where the used can be exposed to radiant, convective or contact heat or molton metal splashes. This test uses standard methods and conditions to predict the performance of fabric/garment in the event of contact with heat or flames. 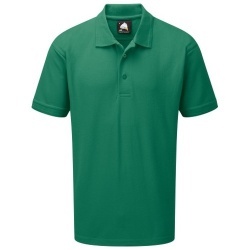 Garment features such as seams, closures and logos must be tested as well as the fabric. Tests must be carried out on pre=treated components according to the manufacturers care label. Garment Design requires that coverage must be provided from the neck to the wrist and to the ankles. Optional Testing includes water vapour resistance and manikin testing for overall burn prediction. *This test must be carried out on fabric and seams. 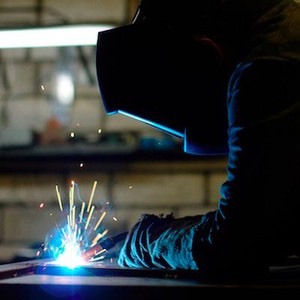 The International standard specifies minimum basic safety requirements and test methods for protective clothing for use in welding and allied processes (Excluding Hand Protection). Class 1 is protection against less hazardous welding techniques and situations causing lower levels of spatter and radiant heat. Class 2 is protection against more hazardous welding techniques and situations causing higher levels of spatter and radiant heat. 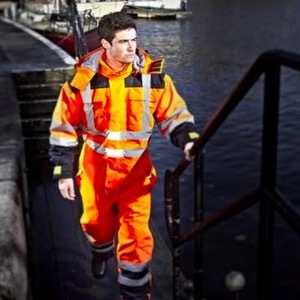 EN ISO 11611 requires that protective suits completely cover the upper and lower torso, neck, arms and legs. There are a number of other design requirements which must be followed to prevent molten droplets lodging anywhere on the garment. Testing must be carried out on pre-treated components according to the manufacturers care label. *This test must be carried out on the fabric and seams. This European Standard is part of a series of standards for test methods and requirements for electrostatic properties of protective clothing. The standard specifies material and design requirements for garments used as part of a total earthed system, to avoid incendiary discharges. The requirements may not be sufficient in oxygen enriched flammable atmospheres. This standard is not applicable for protection against mains voltages. EN 1149-1: Test Method for measurement of surface resistivty. EN 1149-3: Test Methods for measurement of charge decay. EN 1149-5: Material Performance and design requirements. Electrostatics dissipative protective clothing shall be able to permanently cover all non-complying materials during normal use. 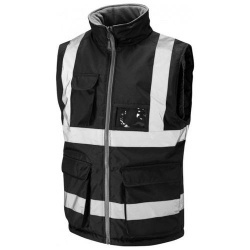 Conductives parts (Zips, Buttons etc) are permitted provided they are cover by the outermost material when in use. Protection against mechanical hazards is expressed by a pictogram followed by four numbers (performance levels), each representing test performance against a specific hazard. Based on the number of cycles required to abrade through the sample glove (abrasion by sandpaper under a stipulated pressure). The protection factor is then indicated on a scale from 1 to 4 depending on how many revolutions are required to make a hole in the material. The higher the number, the better the glove. See table below. Based on the number of cycles required to cut through the sample at a constant speed. The protection factor is then indicated on a scale from 1 to 4. Based on the amount of force required to tear the sample. The protection factor is then indicated on a scale from 1 to 4. Based on the amount of force required to pierce the sample with a standard sized point. The protection factor is then indicated on a scale from 1 to 4. EN 388:2003 Standards specifies physical and mechanical aggression caused by abrasion, blade cut, tearing and puncture. EN388:2016 updates the existing standard with this new test method for abrasion, blade cut & impact resistance. EN ISO 13997:1999 (TDM Test) records cut results as a Newton value – the force of the blade on the glove material needed to cut through the material 20mm. The results are represented on a scale A-F. This European standard specifies a method for the laboratory measurement, the data analysis and rotting if the vibration transmissibility of gloves in terms of vibration transmission from a handle to the palm of the hand in the frequency range from 31.5 Hz to 1250 Hz. The standard is intended to define a screening test for the vibration transmission through gloves. 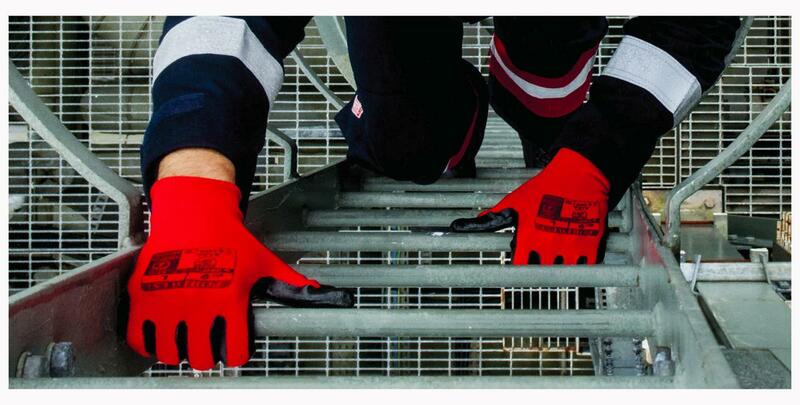 This standard specifies thermal performance for protective gloves against heat and/or fire. The heat and flame pictogram is accompanied by a 6 digit number. Amount of spray required to raise the glove to a certain temperature. Temperature (within the range of 100 degrees to 500 degrees) at which the person wearing the gloves will not feel any pain (for a period of at least 15 seconds). Time during which the material remains lit and continues to be consumed after the ignition source has been eliminated. This European standard specifies requirements and test methods for protective gloves for use in manual metal welding, cutting and allied processes. According to their performance, protective gloves for Welders are classified into two types. Type A: lower dexterity (with higher other performance). Type B: Higher dexterity (with lower other performance). 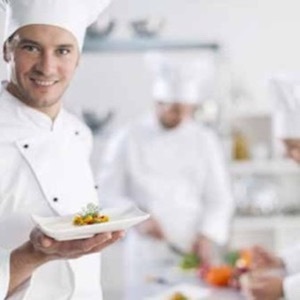 European legislation with respect to Food Contract Materials (Directive EC1935/2004) requires that food contract materials shall not transfer their ingredients to food and must not modify the organoleptic properties (I.e colour, smell, texture and taste) of the food. Products intended for food contact shall be labelled as such. This European standard specifies the requirements for gloves to protect the user against chemicals and/or micro-organisms and defines terms to be used. This European standard specifies a text method for the penetration resistance of gloves that protect again chemicals and and/or micro-organisms. This European standard specifies the determination of the resistance of protective glove materials of permeation by potentially hazardous non-gaseous chemicals under the condition of continuous contract. Performance levels are according to Acceptable Quality Levels (AQL) whereby samples are taken from a batch of gloves and tested during production for pinholes and leaks by either inflation with air or by filling with water. Gloves must meet at least level 2, to be considered micro-organism resistant. The “low chemical resistant” or “waterproof” glove pictogram is to be used for those gloves that do not achieve a breakthrough time of at least 30 minutes against at least there chemicals from the defined list, but which comply with the penetration test. This European Standard specifies a test method for materials intended to be used in the manufacturing of electrostatic dissipative protective clothing (or gloves) to avoid incendiary discharge. This test method is not applicable for material to be used in the manufacturing of protection clothing or gloves against high voltages. This European standard is part of a series of standards for test methods and requirements for electrostatic properties if protective clothing. To standard specifies material and Design requirements for garments used as part of a total earthed system, to avoid incendiary discharges. The requirements may not be sufficient in oxygen enriched flammable atmospheres. This standard is not applicable for protection against mains voltages. ESD gloves are used to divert static electricity. Surface resistivitity is tested according to method specified in EN 1149-1 but test sample must meet the requirements EN1149-5. The European standard specific the requirements the test methods for gloves which product against conductive cold down to -50degrees Celsius. This cold can be linked to the climate conditions or an industrial activity. 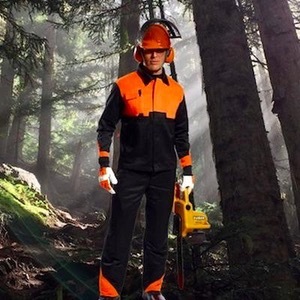 This European standard specifies the requirements for gloves for resistance to cutting by a chainsaw when assessed by the test method described in EN381-4. The requirement are also given marking and for the provision of information to be supplied by manufacturer including criteria for the selection if appropriate gloves and instructions for use. This standard addresses the classification and testing of hand protection for specific performance properties related to chemical and industrials applications. Hand protection includes gloves, mittens, partial gloves, or other items covering the hand or a portion of the hand that are intended to provide protection against or resistance to a specific hazard. All these Standards establish requirement with regards to the manufacture, design, performances and test methods. EN 1731 2006 – Personal Eye Protection. Mesh Eye and Face Protector. Material specifications, design, performance and test methods for eye and face mesh protection for professional use. European Standard, applying to all types of individual protection of the eye which protects from hazards likely to damage the eye, except nuclear radiation, x-rays, laser emissions and infrared emitted by low-temperature sources. Does not apply to eye protection for which separate standards exist (E.g anti-laser eye protection, sunglasses for general use). Impact*: Energy spread to the head form must not exceed 5kN after the fall of an object of 5 kg at 1m high. Penetration*: The tip of the test mass used (3 kg from 1m height) must not come into contact with the skull. Flammability: The helmet is exposed to a flame and it must not burn with flame emission more than 5 seconds after removal of the flame. Impact and Penetration tests* are performed room temperature, at +50 degrees and at -10 degrees. Resistance at extreme temperatures: testing impact and penetration are performed at +150 degrees, at -20 degrees or -30 degrees temperatures. Electrical properties: Protects against a short accidental contact with electric leads under voltage up to 440 Vac. This standard is for helmets used for working live or close to live parts on installations not exceeding 1000 V a.c or 1500 V d.c. Testing to EN 50365 exceeds testing under EN397 for electrical properties. Marking: double triangle + class + batch number. European standard for bump caps for industry, describing mandatory impact and penetration tests. Note: Bump caps protect against impact from knocks against structures and objects. They don’t protect against falling objects and in all cases where a safety helmet is required. NOTE: Bump Caps protect against impacts from knocks against structures and objects. They DO NOT protect against falling objects and in all cases where a Safety Helmet is required. 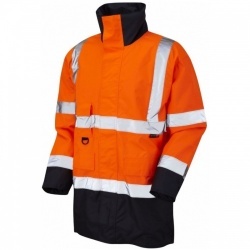 Indicates compliance with currect European standards for chemical protective clothing. Dry particle suit. 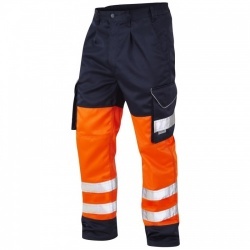 This specifies the minimum requirements for chemical protective clothing resistant to penetration by air borne solid particles. 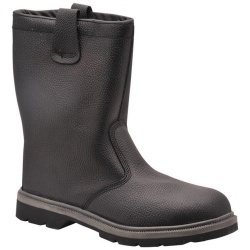 Protects against hazardous dust and dry particulars. Protective Clothing against radioactive contamination. Requirements and test methods for non-ventilated protective clothing against particulate radioactive contamination. This specifies the requirements and test methods for limited use protection against infective agents. Single average value of attenuation. H : Attenuation of PPE at high frequencies (pitched noises). M: Attenuation of PPE at medium frequencies. Specifications of level numbers and of requirements relating to the transmittance of the filters for protections against ultraviolet radiation. Specification of level number and requirements relating to the transmittance of filters of protection against solar radiation, industrial use. Harmonised European standard for automatic welding filters which switch their luminous transmittance to a lower predetermined value when an arc is ignited.